Remove heavy imperfections, swirl marks, scratches, etc. Buff and Shine Uro-Tec Coarse Blue Cutting Foam Pad will allow you to cut or compound your paint to remove imperfections with ease! Pair it with your favorite compound or polish and you can make quick work of swirls, scratches, RIDS, oxidation and other heavy imperfections that are taking away from the overall luster of your paintwork. With the rise of the long throw polishers, imperfections are being removed faster than before. This long throw design and overall polishing speed saves detailers valuable time, however, it increases polishing heat and can really do a number on polishing pads. Buff and Shine have imported high-end specialty European foam, that is designed for use with these long throw units. The foam is made with high-quality reticulated (open cell) euro foam of a higher density than traditional foam pads. This open cell structure and center hole helps to disperse heat and reduce pad softening during use. The foam is attached to the backing with premium heat resistant adhesives, which only adds to the overall durability of these fantastic pads. Don't leave scratches, swirls, etc. 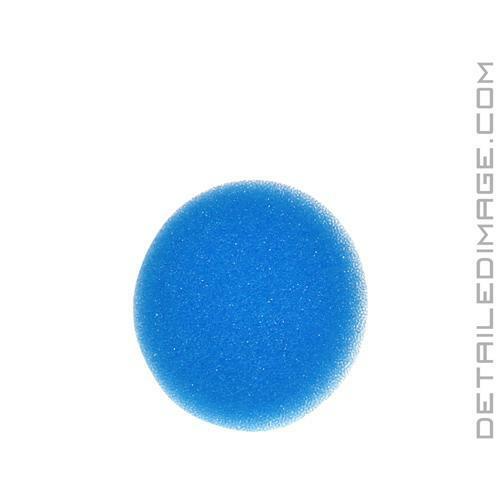 in your paint, use the Buff and Shine Uro-Tec Coarse Blue Cutting Foam Pad to remove them fast and easy!